We welcomed Dr. Kirsten Howley of the Lawrence Livermore Lab back to the show to discuss dark matter, dark energy, realistic time travel, plus many other issues in astrophysics. During the first part of our one segment 70 minute discussion, Dr. Howley introduced us to the mysteries of dark matter and dark energy. 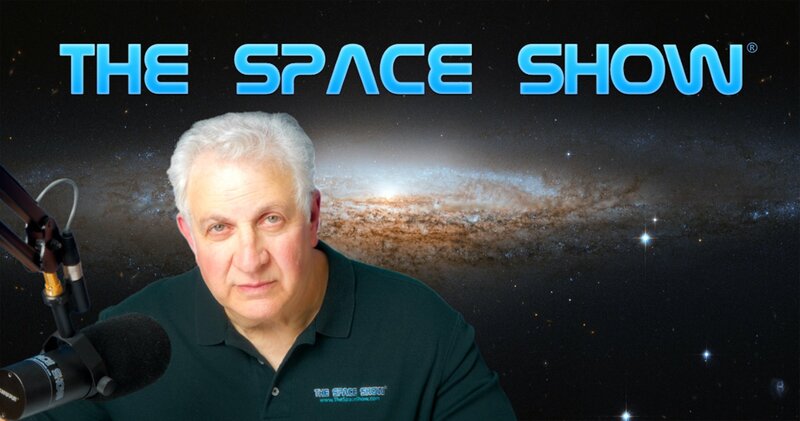 We spent nearly the first half of the show on dark matter and dark energy with our guest guiding us through the concepts, issues, recent discoveries in physics, and answering many email questions from our listeners plus a few questions from me. New concepts for most of us were flowing freely as our guest was a superb and very highly qualified dark matter dark energy tour guide. She helped us to understand what is known about each, what is unknown, why these topics are so complex plus she introduced us to concepts like flat rotation curves, baryons, WIMPS and MACHOS plus the gravitino and graviton. Included in our learning with Kirsten at the helm was information about the closed universe theory, the open universe theory and the flat universe theory with critical density plus why she thought our universe looked flat. I asked our guest how research was done into these fields and what the day looked like for a typical scientist working on dark matter or dark energy. Don't miss her answer which might surprise you. Telescopes were a major tool as was the discovery of the cosmic microwave background plus research into a type 1a supernova. We also discussed the difficulty in testing some theories. For example, our guest said there was no way as yet to test string theory. Our guest then talked about Quantum Mechanics of which she had much to say so don't miss our discussion. Other topics discussed in the first half or so of our discussion included dark matter lensing, the importance of anomalies, & the Bullet Cluster of two colliding galaxies that may prove dark matter but not explain it. Our guest took questions on the transparency of research in these areas from academic centers around the world. Her opinion was that scientists and discoveries were transparent. Scientists shared their information and were eager for others to verify and validate their work. As part of this discussion, I asked Kirsten about news reports that always mention a consensus of scientists agree on this or that but never mention that the theory must go through the scientific method. She provided an explanation for this and for the consensus term. Let us know what you think by posting your comments on our blog. For the balance of our discussion, we had a serious conversation about time travel. Also going backwards in time. Now before you think this is fringe and crazy stuff, keep in mind who our guest is and pay attention to this discussion. It was a true eye opener for me. We talked about the research being done, Quantum Mechanics and the study of quantum entanglements. There are real experiments happening, there is real research and while there is no proof of anything at this time or even close to it, it would be too early to close the door and say that all of this was impossible. I asked Kirsten for some names of people in the quantum entanglement field that know this area of research as I would like to get them on The Space Show. In addition, part of our discussion focused on entropy and then the possible reversal of entropy. Don't miss what our guest said on these topics. We took a few listener questions during the time travel discussion, plus I had lots of questions as time travel is one of my favorite topics. Don't miss what she said near the end of our show regarding ET visitations to Earth and why if anything like that had happened, it would likely be us coming back from the future. Our discussion on time travel was far more complex and in-depth than this summary so listen to it carefully. As part of the idea of ET visits might actually be us coming back to check on our primitive life forms, we also talked about cargo cults in WW2 and why they were relevant to our discussion. Kirsten and I would like to hear from you about all of the elements of our discussion today. Please do post your comments on the blog and I will make sure our guest sees them. I hope to have Dr. Howley back on the show many more times as I find her fascinating, an excellent teacher, a lover of science fiction, and a scientist that can dream big things and try to figure out if they can happen or not. I am already looking forward to her next Space Show visit.